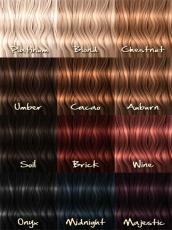 This is to help you choose a hair colour if you're dying your hair. Thanks, I think I'll just shave my head. © Copyright 2019 randomwriter. All rights reserved. Thanks for the comment glad you liked it read my other stuffxx! This page was created in 0.3528 seconds.